To finance such a war as World War II, Germany had to be an enormously rich country, … but it wasn’t. The level of the Reichsbank’s gold reserves was extremely low by the beginning of the war. However Germany successfully sustained its war efforts by purchasing necessary war materials from the neutral countries like Argentina, Portugal, Spain, Sweden, and Turkey. The Swiss role was the financing of the war by taking gold (mostly looted) and converting it into hard currency Swiss francs. The role of the Spanish and Portuguese was to provide wolfram using that hard currency or gold. The role of Sweden was to provide ball bearings and iron ore. The role of Turkey – chromate. There were really immense assets involved in this trade. Due to the reports compiled by Swiss Bergier Commission and US Justice Department’s Office of Special Investigations, we have a mostly clear picture of the Nazi gold origins. 1. According to the above-mentioned Swiss Bergier Report, the estimated value of the gold that went to Switzerland was about $4 billion — of which $2.7 to $2.8 billion, was stolen. 2. The report prepared by the US Justice Department’s Office of Special Investigations provides information about the Melmer account at the Reichsbank, named after Bruno Melmer, the SS officer who was responsible for taking materials, possessions from concentration camp victims and others at killing centers and depositing them in an SS account in the Reichsbank. Golden and silver bars, coins, table silver and gold, rings, watches, dental gold, etc. – all these belongings are estimated at $40.5 million. 3. Nearly $8 million in victim gold from the Melmer account went to the Dresdner Bank and the Deutsch Bank, both private German commercial banks, and were sold on the Turkish free market as part of a scheme to provide the Reichsbank with foreign currency and to help Axis diplomats and agents finance their operations in Turkey. 4. More than $2.6 billion in Nazi gold reached Portugal, Spain, Sweden and Turkey during the war. Three-quarters of this amount was transferred from Germany through the Swiss National Bank. The gold flow from Germany to these countries continued throughout the war in spite of the Allies’ warning against accepting the Nazi money the criminal origin of which was so obvious. 5. One more source of Nazi gold has only been discovered recently; and that is the strange story of Ustashi gold. The Ustashi regime was Nazi Germany’s wartime puppet state in what was then called Croatia. It systematically and mercilessly robbed, murdered or deported its Serbian, Sinti-Romani, Gypsy and Jewish populations. Gold and other valuables of all these victims became a part of the Ustashi treasury, and may have been estimated at as much as $80 million. Parts of this treasury appear to have been transferred to Switzerland in the last year of the war. Germany has long since come to terms with its past. It has provided $60 billion in funds for Holocaust survivors. 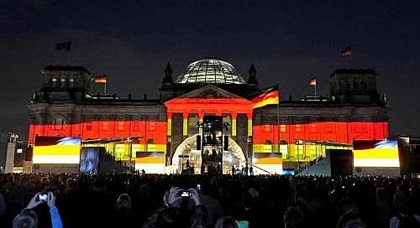 Also Germany has made a decision with respect to the World Jewish Congress and the Material Claims Conference in 1999 to set up $110 million fund to pay pensions to those Holocaust survivors who were trapped behind the Iron Curtain during the post-World War II era, during the Cold War and have never been compensated directly by Germany. The Swiss National Bank has made a $75 million contribution to the $200 million humanitarian fund, which the three private, large Swiss banks have contributed to, as well as other Swiss corporations.